This past week, 200 Harlem Lacrosse student-athletes from Boston, Baltimore, Philadelphia, and New York descended upon Casco, Maine for the 2nd Annual HL-Camp Cedar Experience. Upon arrival, HLers were split into different groups, mixing in with students from different Harlem Lacrosse chapters around the country. These groups traveled from activity to activity over the course of 3 days. 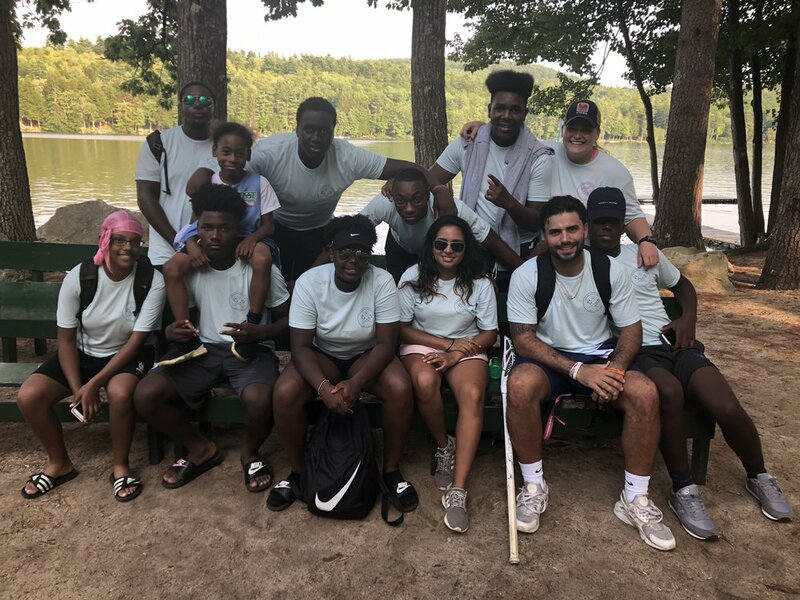 These activities included a zip-line, waterfront (tubing and swimming), archery, GaGa Ball, Mountain Biking, Leadership Training, and of course Lacrosse Sessions! Many kids learned to swim for the first time and conquered their fear of heights. Groups also came together at ‘Roll Call’ every night before dinner, where they presented a new ‘team chant’ and gave shoutouts to members of other groups who they felt went above and beyond to be a great teammate. The 3 day/4 night session was a one of a kind bonding experience for kids and coaches alike. It truly brought the HL community together as a family and we’re already looking forward to returning next year! A HUGE thank you to Jeff Hacker for opening the camp to HL and welcoming us into his Camp Cedar Family. Also thank you to the entire Camp Cedar staff for being such an invaluable part of our week!